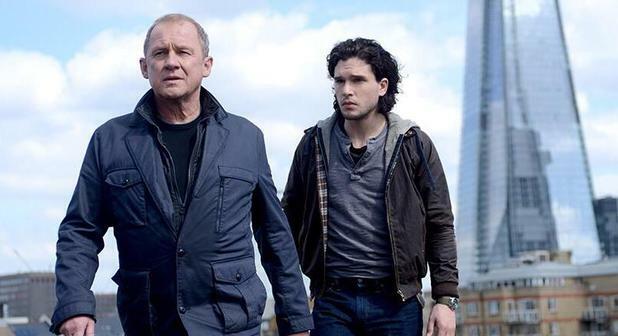 When I wrote a preview post of all the new spy movies currently being developed and due for release this year, I completely forgot about British spy thriller Spooks. This is even more surprising considering I’m a huge fan of the original tv show and the prospect of another glimpse into the lives of the MI5 agents was one I relished. I can also understand my forgetfulness though because Spooks was never in the same category as the Bonds or Mission:Impossible movies. Spooks was much more “realistic.” I use that term loosely because it was always going to have the thread of fiction about it but the show was never about spies using high-tech gadgets, big set-pieces or evil mastermind villains. Instead it was a show rooted in the realistic, here and now. It dealt with terrorism, government politics and the struggle of a secret service to keep the public safe and for the most part unaware. It wasn’t a “spy” show but was a show about spies. The same can be said for the movie. It never really relies on huge suspension of disbelief. It is a taut, espionage thriller which shines a light on the practices and world of MI5. I’m sure it is a complete work of fiction with little basis in truth but you feel like it could be real and that you are getting the inside scoop. The best example is when the two “heroes” try to meet for the first time. This is a case of old-school espionage, with drops, codes, tricks and riddles to ensure the meeting is kept secret. It seems slightly out-dated but when you watch it in action, it is brilliant and again, adds the realism that the show was so good at delivering. This isn’t the only tie-in from the tv show. 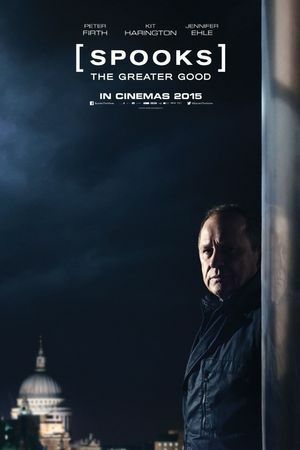 There aren’t many distinguishing links but the inclusion of Spooks stalwart Harry Pierce, played with gravitas and concern as always by Peter Firth, brings the feel of the show forward further. It has the style and design of the tv show and to its credit, doesn’t try to go too big or extravagant. The actual story could well have been one that was played out in the show itself, albeit for the added explosions and action sequences which a moderate BBC budget wouldn’t have stretched for. In fact, the story is probably the strongest element of the movie and one that ensures that it is actually different from the spy fare that is on offer. It is slightly jet-setting but is set mainly in London. There are some great action sequences, culminating with a thrilling but suitably low-key climax, but they are never gratuitous and the sequence of events seems to make sense, especially with the various double-crosses and switches of sides that occur. It is a shame that more of the old cast couldn’t be included but save for a few decent cameos and poignant call-backs, the faces filling the screen are fresh. Kit Harington plays the generic, spy action hero that Spooks seems to require and does a better job here than he does of brooding watchman in Game of Thrones. There are some awfully acted scenes between him and Firth, especially when things need to get emotional, but these are thankfully few and far between. Add to this a great villain, with what seems a believable motivation and fitting story of his own. There are no super-villains here but just deplorable people who need to be punished. The film does a good job of blurring those lines too – another hark back to the much missed tv show. 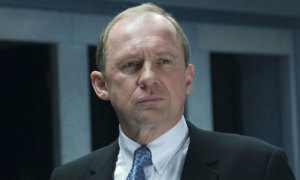 Overall, Spooks: The Greater Good is a welcome return to world of British MI5. It has the same pace, great story-telling and excellent characters that made the tv show a success, with at least a few call-backs for the fans. In its own right it tells a great tale, keeps the action frequent but never with disregard for the story and makes being a spy believable. Previous Previous post: Have Disney lost their creative genius?